Move the sliders. 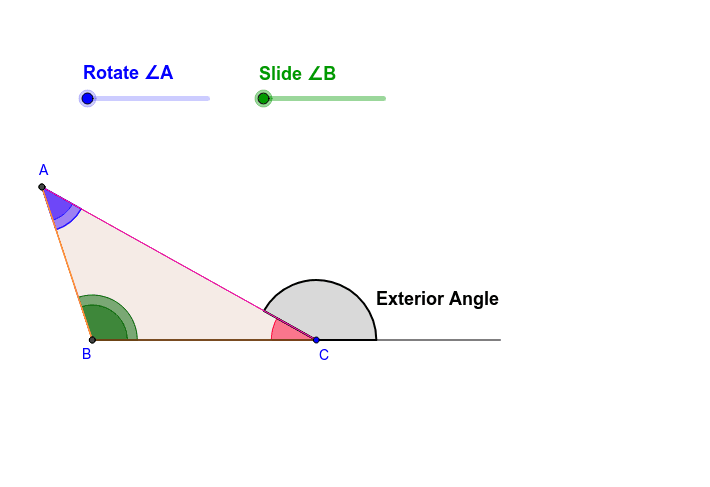 What do you notice about the exterior angle and the remote interior angles (the two angles not adjacent to the exterior angle)? Move the sliders back and drag the vertices to change the shape of the triangle to see if it always works. What can you say about the sum of the two remote interior angles compared to the exterior angle?